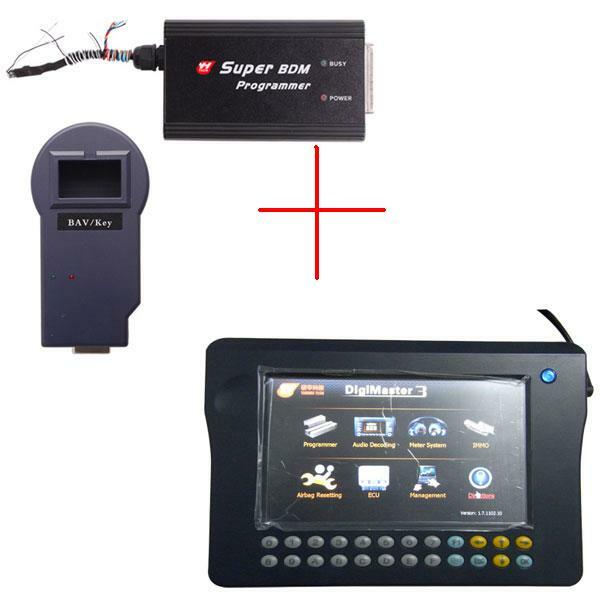 Instruction:How to use EF Scanner II Software BMW Explorer do odometer correction on E/F/G series,Commonly used in most cases. At a brief test BMW Explorer checks each ECU and shows the total mileage in the ECU’s. Mileage will be reset to 0 and then, after some time takes a new mileage from instrument cluster. If an error occurs, “frame” will be written in the ECU, informing which mileage and under what circumstances the error occurred. This mileage can be reset by deleting the saved errors. 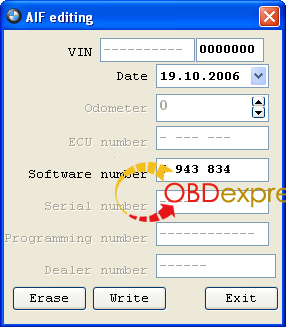 Click edit AIF, a window appears in which, depending on the ECU, you can see the number of the program unit, mileage, date of programming, the number of diagnostic equipment and the dealer number. All these data can be modified. In the engine ECU, EGS and some others, AIF is written to flash memory! Rewrite the AIF in these units is not possible, this feature is not supported. Go to the CAS unit and if the button “Mileage reset” is active, then this CAS/ZAS supported. Click the Reset mileage, a window will appear asking turn off the ignition and remove the key from the ignition. Click OK.
We are constantly adding new versions of the CAS. 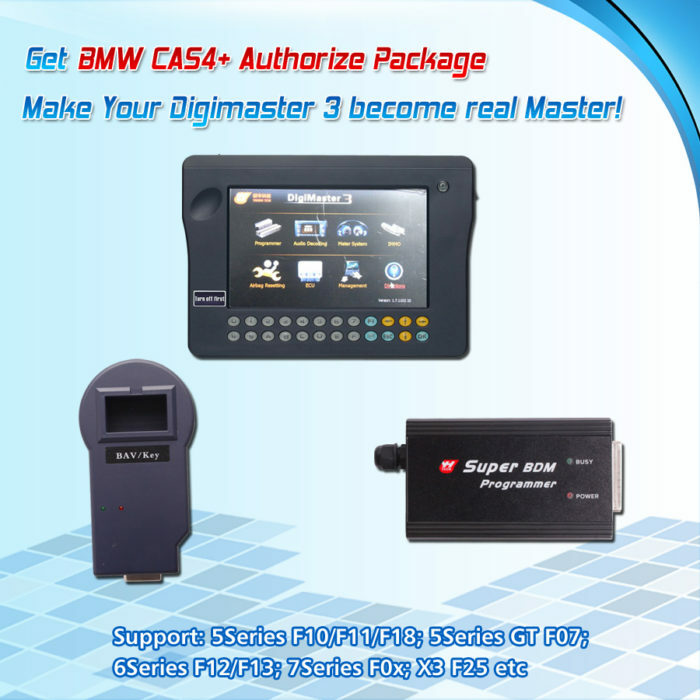 Using BMW Explorer You can reset mileage in CAS3/CAS3+ (even if updated by ISTA/P v. 38). To reset mileage you should strictly follow the instructions! 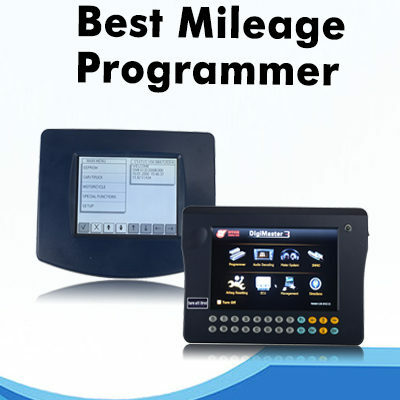 Remove the instrument cluster, manually adjust the mileage in the M35080 using appropriate programmer. Connect BMW Explorer to the car, go to the CAS3, with ignition off and removed key, press the button to reset the mileage and follow the instructions. After about 15 seconds the message about the successful mileage reset. If your CAS3 is not supported by current version of BMW Explorer, please let us know number of ECU, read and send us the contents of FLASH (Function RAM / FLASH) and the log file. We will add this ECU model in new version. Beginning in 2002, mileage to engine ECU (DME), is transferred from the instrument cluster and the changes only to the biggest value. Also, most of the ECU units contains recorded information about the last 5-6 oil changes. BMW Explorer can reset mileage in BOSCH gasoline ECU’s via OBD-II socket. 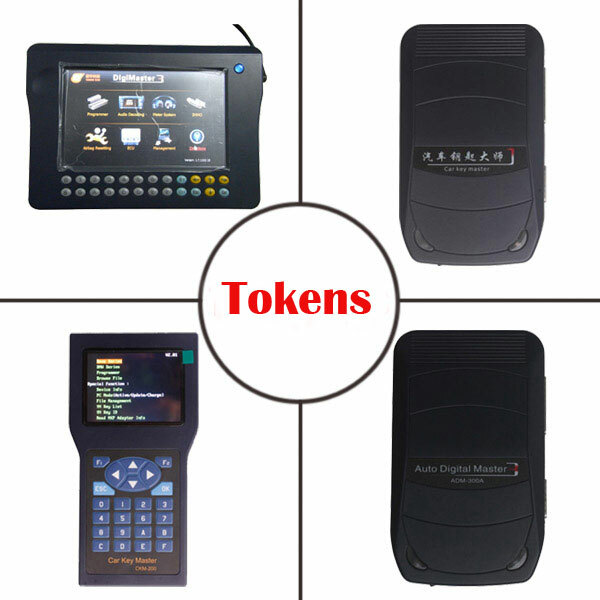 Siemens and diesel ECUs (DDE) are not supported, they must be done manually by the programmer. Button “Change oil” will be active if it supported by your ECU. Push the button, change the desired values and press write. Click the Reset mileage, you will be asked to turn off the ignition for 10 seconds. Turn the ignition off, wait 10 seconds, turn the ignition on and press OK. In the upper left-hand window should display the same exact mileage as on the dashboard. Notes: If the mileage is not synchronized from first attempt, repeat this operation several times! Writing mileage in the AIF is not supported, as it is stored in FLASH. Option “A” – read the FLASH memory using programmer and fix it manually. Option “B” – upgrade ECU again using the SSS/iSSS (Software Service Station). Data in FLASH will be updated, and new AIF will be written. AIF in ECU BOSCH overwriting option without SSS / iSSS programming will be added in BMW Explorer soon. If you have ECU BOSCH which is not supported, you need to read it using the RAM read option and send it to us along with the log files to e-mail. We will promptly send you a module for this ECU and in the next version of BMW Explorer it will be added to the list of supported ECUs. Instrument panel rewrites mileage in DSC each time when you have wheel puncture and during system initialization. BMW Explorer can reset mileage in DSC. Go to DSC click the “Mileage reset”, turn off the ignition for 10 seconds, turn the ignition on, mileage should be reset. In the BMW cars from 2002, mileage is also stored in the automatic gearboxes EGS. BMW Explorer has the ability to reset the mileage in EGS. Click the “Mileage reset”, BMW Explorer will perform reset procedure, it may take up to a minute! After that BMW Explorer asks to off the ignition for 10 seconds, by pressing the button OK it re-reads mileage again and show it in the upper left corner. Mileage should be equal to 0 or equal to mileage in the instrument cluster. In case of malfunctions, ECU records an error, and current mileage. You can reset it by pressing the “Erase stored faults” button. 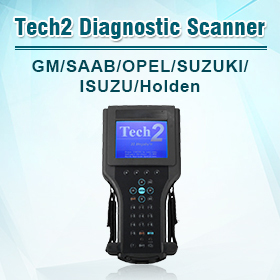 When programming the EGS, mileage is recorded simultaneously with the part number, date and serial number of diagnostic equipment. At the moment BMW Explorer cannot change that mileage, overwriting the AIF is not possible. You must use the SSS/iSSS. 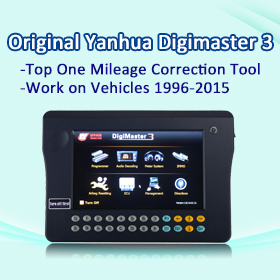 After EGS ECU update by SSS/iSSS, the new corrected AIF will overwrite the old one, and even the dealership equipment cannot display the old mileage! IHKA ECU’s installed in BMW E60/E65 as well as some E90/E87 kept current mileage, stored mileage and engine running hours at the time of last filter replacement. Go to IHKA and click on “Filter replacement history”. Enter desired values and click edit. Want until car goes to sleep mode. Remove the key from the ignition lock and close all doors. Cars going to sleep mode from 30 minutes to an hour. Only after the machine goes to sleep mode,mileage in IHKA will be changed ! Go to the KOMBI, click Read RAM/FLASH, EEPROM, and then select the “Read”. After reading you will see a message that the EEPROM is read without/with any errors and prompts you to save read dump of EEPROM . Default folder – “where BMW Explorer installed”/Trace/body/VIN-number/testing time/, but you can choose any other directory. BMW Explorer can reset mileage stored in VDM. Transfer case VTG also contains mileage, which comes from DSC. If you do not adjust mileage in VTG, it will not stop to count mileage. Mileage in the VTG must be adjusted manually by entering a mileage as in the instrument panel. Go to VTG, click the “Write mileage”. At the top of the opened window you will see the mileage of the instrument panel, enter it and click on “Write”. In BMW cars during the programming and software updates, programming data and mileage (AIF) entered into each ECU. BMW Explorer can modify AIF data. Currently most ECU’s supported! Go to the desired ECU and in the upper left corner you will see the mileage in the AIF.